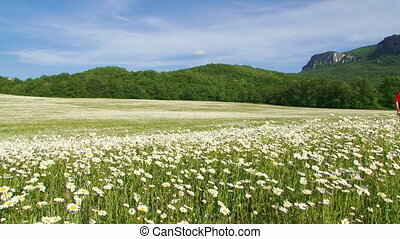 White gerbera daisy in super slow motion being soaked against a blue sky. 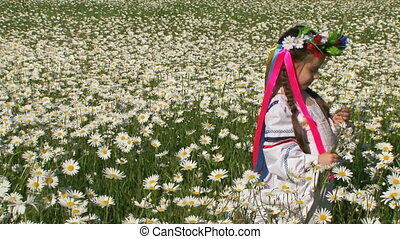 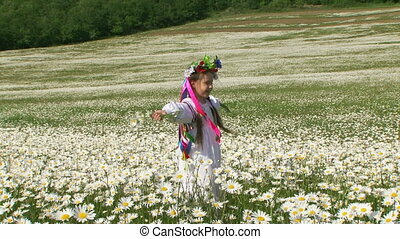 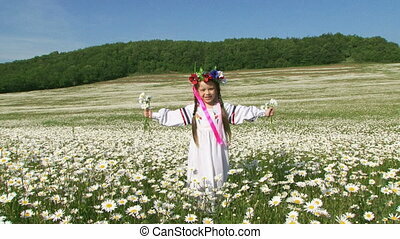 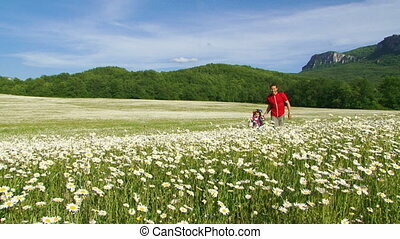 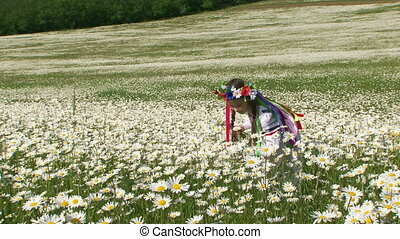 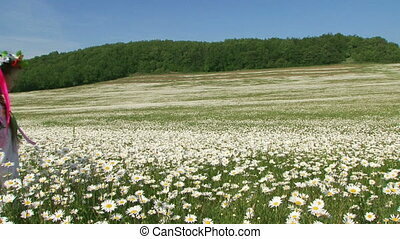 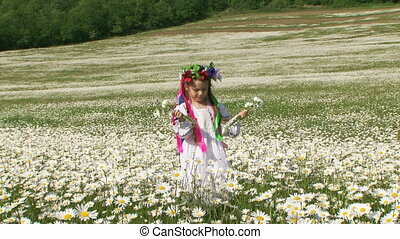 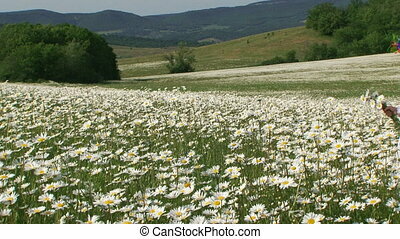 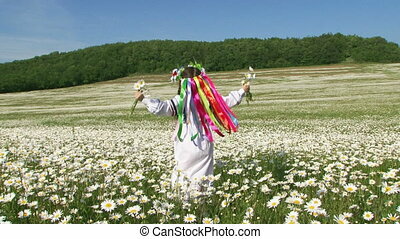 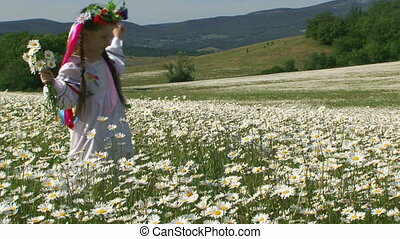 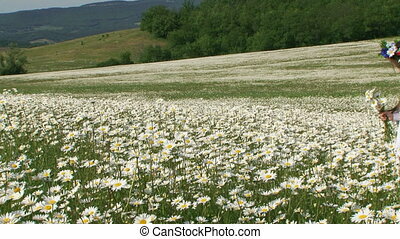 Little girl dressed in traditional clothes among daisies. 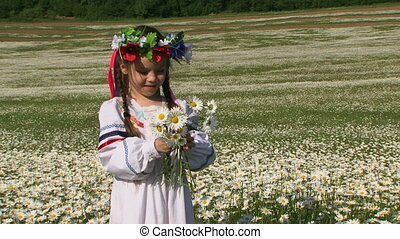 Little girl dressed in traditional clothes among flowers.